Wayne's World- The Official Blogspot of Wayne Royale: WAYNE ROYALE'S MIXXCITY RADIO PRESENTS NEW EPISODE OF WAYNE ROYALE'S MIXXCITY RADIO LIVE TONIGHT! THE MIDNIGHT RUN! A TEST SHOW GOING DOWN TONIGHT! 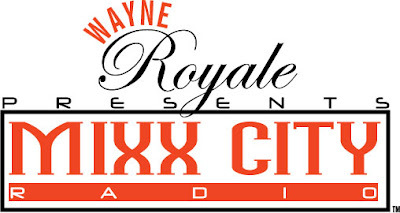 WAYNE ROYALE'S MIXXCITY RADIO PRESENTS NEW EPISODE OF WAYNE ROYALE'S MIXXCITY RADIO LIVE TONIGHT! THE MIDNIGHT RUN! A TEST SHOW GOING DOWN TONIGHT!